Singapore is so replete with retail choices that it has even spilt over to residential areas — fondly known to locals as the heartlands. In fact, few heartlands here are now without a single shopping mall. Most residents would only have to take a direct bus or even walk to the nearest heartland mall for instant retail therapy. If you ever need the final push to apply for Singapore PR, think of the endless convenient shopping just a mere stone’s throw away. Living in Singapore means that you will never really have to travel very far at all just to meet your shopping needs. You can easily save on transportation costs and instead, use your hard-earned money on all the shoes and dresses you deserve. With an entire island’s worth of variety to choose from, there is always bound to be something for the shopaholic in you regardless of where you live. Let’s take a look at the ones found in the east and west of the country. Apart from being the second most densely populated region of Singapore, you may also be aware that the east side is also extremely popular among expatriates. This is hardly surprising to anyone who has ever lived in the east, which has everything, starting with its numerous malls. Tampines boasts not just one, but a grand total of three major shopping malls clustered together. These are the ever-popular Tampines Mall, Century Square, and Tampines 1, which are all well within walking distance of each other. Both Tampines Mall and Century Square house cinemas but among the three malls, Tampines 1 is the glitziest one, arguably the best suited for fashionistas and coffee lovers. Tampines Mall is the oldest, yet most classic one, particularly for its family-friendly appeal. Meanwhile, Century Square has truly upped its game with when it comes to food, especially upmarket ones — perfect for the health-conscious consumer. Not many who live out of the east region know of the wonders hidden away in Parkway Parade, but the construction of the Thomson-East Coast Line (TEL) is bound to change the game soon. Located in Marine Parade, Parkway Parade boasts seven storeys’ worth of retail stores and a basement. These range from a good mix of fashion stores for the discerning dresser to affordable electronic goods and groceries. The best part about Marine Parade, though, is that you are unlikely to find any trouble at all when it comes to looking for parking spots. The multi-storey carpark is just massive. A particular favourite among gym rats searching for bargains, Changi City Point is a veritable convention of the most popular sports retail stores that you can think of. This is absolutely the best place to be if you need a replacement for any of your sports gear, post-haste. Its food options are not too shabby either! In fact, Changi City Point is hugely popular as a lunch destination for people working in the Changi Business District. The west side of Singapore may be a little less densely populated but its heartlands certainly do not disappoint when it comes to shopping — especially in Jurong. Let’s take a peek at the heartland malls of the west. When it comes to this side of Singapore, look no further than Jurong Point. This classic mall is situated next to Boon Lay MRT station and bus interchange right in the heart of Jurong West. Its accessibility, cleanliness, as well as numerous culinary, fashion, and tech stores aplenty make this mall an evergreen favourite among those living in the west. For those with a limited sense of direction, the best part about Jurong Point is that you will never get lost. Everything about Jurong Point was made and maintained with the consumer in mind. Travel just a little bit further away from Jurong residential areas and you will find four more shopping malls: IMM, Westgate, JEM, and Big Box. The first one, IMM, is the largest retail mall in Singapore, boasting over 90 stores. 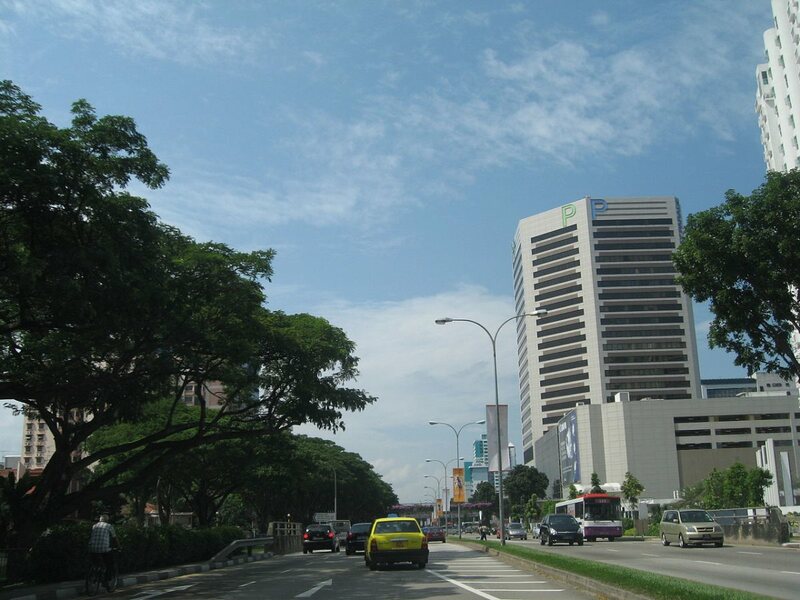 IMM is situated right next to Jurong East MRT, which greatly enhances its accessibility. Its acronym is short for International Merchandise Mart Mall, which does funnily mean that it should probably be IMMM instead. Oddities in naming aside, IMM is a massive shopper’s paradise that offers Jurong heartlanders plenty of cheaper goodies. The quietest of the four, Big Box, offers a peaceful getaway for anyone meeting up with friends over a meal or coffee but the real gem of the west is JEM. There is something for everyone here, from high-end fashion to cheap food court options.